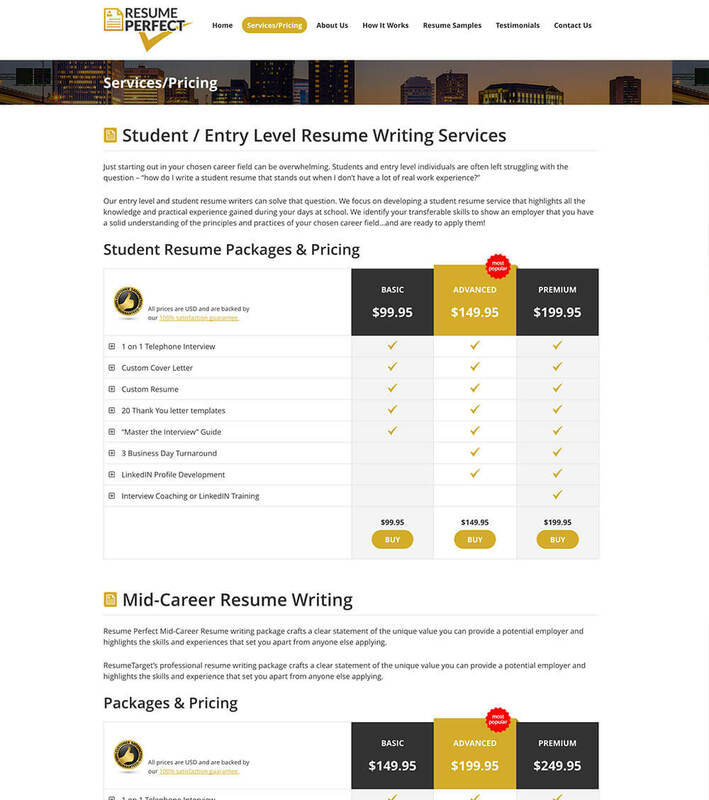 Resume Perfect is a local Richmond company run by Zach Obey. 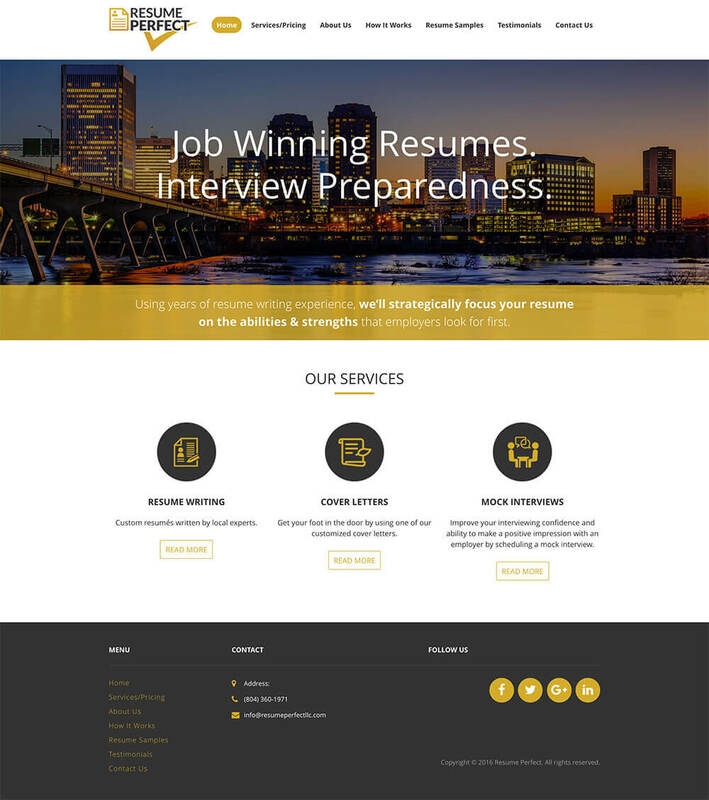 Zach’s specialty is creating job winning resumes and getting people ready for interviews. 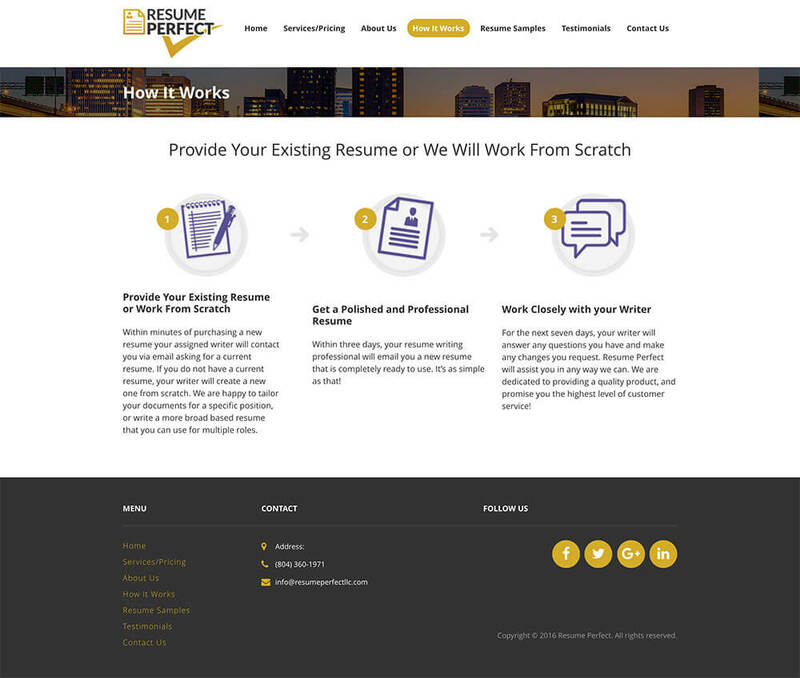 The Resume Pefect website features an RVA backdrop for its bold and clean cut page design. 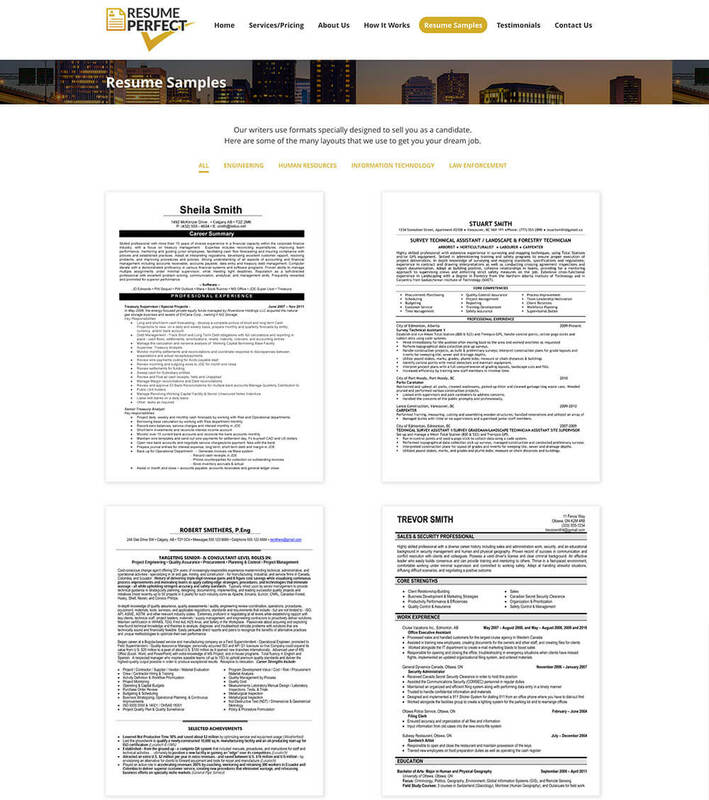 The bold and cut design flows into the extensive service listing and remaining site pages.